We let you compare personalized loan offers from multiple vetted lenders, giving you the power and confidence to improve your financial future. We thoroughly vet our lenders so you can compare the best options available. SSL technology keep your data secure. We never share your information without your permission, ever. Compare your options without affecting your credit score. Our leadership team has over three decades of experience in finance, technology and marketing, brought together by a fierce desire to give every consumer the power and confidence to improve their financial future. Stephen is the Founder and Chief Executive Officer of Credible. Stephen has led Credible’s strategy and execution since inception, raising more than US $70 million in capital, launching the Student Loan, Personal Loan, Credit Card and Mortgage Marketplaces, and growing the Credible team to more than 130 people. 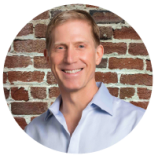 Prior to founding Credible, Stephen was an Investment Banker at J.P. Morgan, an Investment Director at M.H. Carnegie & Co, and a Co-founder of Quickcharge Media. Colin leads Product and Design at Credible. Prior to Credible he spent five years at Yahoo building personalized experiences for hundreds of millions of users, including time overseeing product for the Yahoo Homepage. Previous to that, Colin consulted for Bain & Company in financial services and other industries. He graduated from the Stanford GSB and Queen’s University. 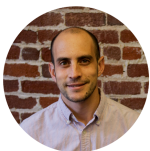 Dave leads Operations for Credible, working with lender partners to ensure users receive offers quickly and securely. 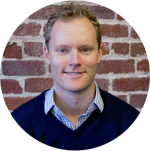 He previously worked in Deloitte Consulting's Strategy & Operations Practice in New York and its Innovation Practice in San Francisco, primarily serving Financial Services clients. He is a graduate of UC Berkeley and University of North Carolina. 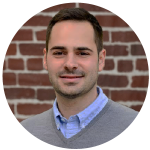 Jereme leads Marketplace Operations at Credible, overseeing Lending Operations, Customer Support and Business Intelligence. His teams work to ensure that every borrower has an exceptional experience from start to finish. Prior to Credible, he had over 10 years of experience in operations management in the consumer lending and education industries. Jereme holds a degree in Mathematics from UC Berkeley. Jai is responsible for Engineering at Credible. 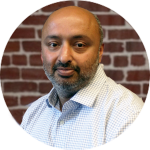 Before Credible, Jai held various engineering leadership roles, including six years leading the technology organization at Hotwire.com, a top 10 travel website in the US. He graduated from Cornell University with a Bachelor’s and Master’s in Computer Science. Chris is Credible’s Chief Financial Officer. 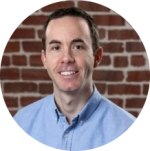 Prior to Credible, Chris was a partner at Omidyar Technology Ventures, where he focused on venture investments in financial technology, enterprise software and consumer Internet platforms. Prior to that, Chris held a variety of investment banking positions at JPMorgan, with a focus on technology and financial services. Chris received a B.S. from Duke University, where he majored in biomedical engineering and English literature. Jessica comes to Credible with over 15 years of experience as a litigation and compliance attorney, and has previously worked at ecommerce giants like Walmart and eBay. 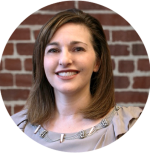 At Credible, Jessica provides legal counsel to the executive team and works collaboratively with cross-functional teams to develop new products. She has a J.D. from Santa Clara University. Founded in 2012, Credible believes in empowering borrowers to take control of their finances.